HomeMan UnitedMan United Respond To Barcelona, Pogba’s Talk About Madrid And Where Will Rojo Train? Man United Respond To Barcelona, Pogba’s Talk About Madrid And Where Will Rojo Train? It may be international breaks, but news regarding Manchester United are not stopping. Here we are talking a look into all the news swirling around the club and there have certainly been some interesting stories. Manchester United have made a response to Barcelona regarding the ticket prices for the Champions League quarterfinal matches. As it was previously reported, the Catalan club made a decision they have put a price tag of €120 on their tickets for away fans in the return leg of the quarter-final. Man United decided to do the same thing. For their first-leg clash at Old Trafford, the Devils will charge opposition fans the same price in order to subsidies the cost for away tickets to £75. “Barcelona confirmed our tickets for this game were to be priced at 102 pounds. In this instance we believe that our travelling supporters are again being subjected to increased/excessive ticket prices from the host club,” the club pointed out in an official statement. It might not be ideal, as Man United could have just done the better thing and embarrass Barcelona by charging usual prices and still subsidizing fans for the Camp Nou tickets. What Did Pogba Say About Real Madrid? “Real Madrid is one of the biggest clubs in the world. I’ve always said it is a dream club for every player.” That was the highlighted quote in sports media all around the world. Paul Pogba said it in a press conference of the French national team, but in the end, Man United fans should not worry. “At the moment I’m happy in Manchester. I play. There’s a new coach”, Pogba also said. So in the end, it was just a nice quote for everyone to start guessing and saying the Frenchman is flirting with the Spanish giants. However, there were other, more important things he said. “Of course we want him to stay,” said Pogba, in regards to Ole Gunnar Solskjaer. “He is a really happy coach that gave confidence back to the players. This gave us the freedom to play and enjoy football again because maybe we lost that with the results we had before”, former Juventus man concluded. Marcos Rojo has been given a permission to train with Estudiantes, it was confirmed by the Argentine club. 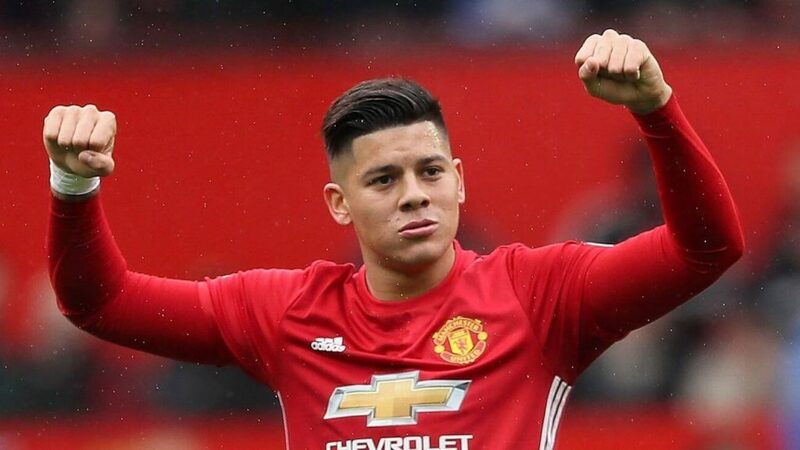 Manchester United have allowed Rojo to train with the famous South American club, as he will not be part of the squad next season. The 29-year old defender last time played for the Devils in the 2-1 defeat to Valencia, in Champions League group stages. That was way back in early December and Rojo has made just three appearances throughout this season in total. No wonder Man United have allowed him to leave for Argentina.